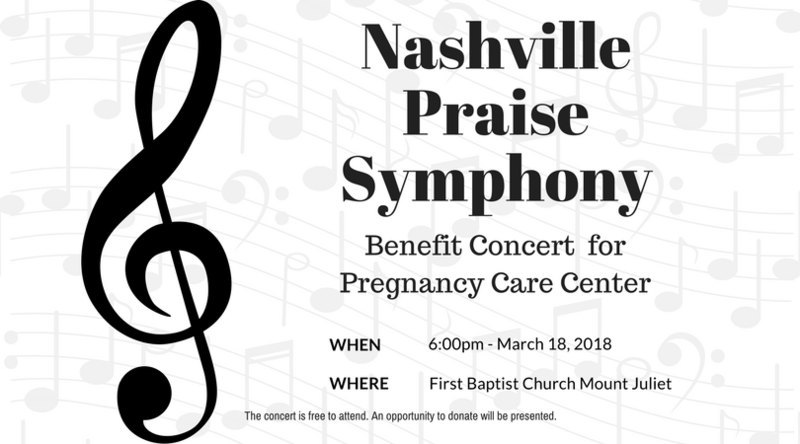 Please join us March 18th for a night of music with the Nashville Praise Symphony at First Baptist Church, Mt. Juliet. Admission is free and the opportunity to donate benefits the Pregnancy Care Center.